What you don’t know is killing your trees. They’re everywhere around Atlanta – disfigured, ugly trees. I’m referring to the misguided practice of topping trees. In fact, the practice is harmful and a crime against nature. In this article you will find helpful information about this poor pruning choice and awful practice. Topping occurs when vertical stems, known as “leaders”, and primary limbs, called “scaffold branches”, are severely cut back. Sometimes topping is referred to as “heading”. How does topping damage trees? Topping trees reduces their food making capacity. Trees need leaves to provide food for maintenance and growth. Topping cuts off a major portion of the trees food making potential and also depletes stored energy reserves. When you remove most of the buds that form a normal branch system it causes the tree to form “water sprouts.” Water sprouts appear below the pruning cut and the tree grows dense with weak, unattractive foliage. The wounds left by topping trees are often large and slow to heal, which makes the tree susceptible to insect attacks and fungal decay. 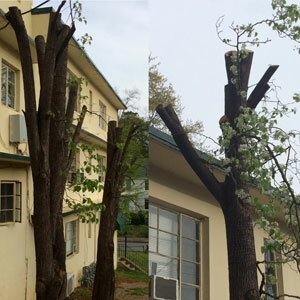 Topping creates hazards, rather than removing them, by weakening cut branches into stubs that are weak and prone to break in wind and storms. The dense, small water sprouts create more weight and wind resistance that a weakened stubbed branch may not be able to hold in a storm with high winds. 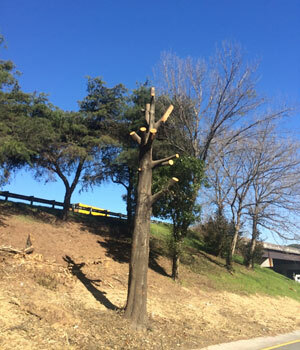 The practice of topping disfigures trees. Ugly stubs and pruning cuts along with broom-like branches replace the trees natural beauty. Some homeowners, along with unprofessional tree cutters, top trees to reach a desirable height. They mistakenly think that topping a tree will reduce storm damage, when in fact topping has the opposite effect. 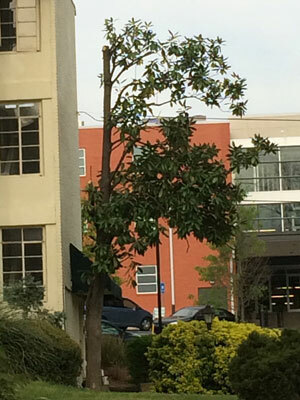 The National Arborist Association considers topping to be an unacceptable pruning practice and advises against it. At Heath Tree Service, we strongly agree with the National Arborist Association. Find the right tree company. Hire a company that has ISA Certified Arborists on staff. Arborists that are certified by the International Society of Arboriculture have undergone intensive study, follow the ISA Code of Ethics, and are stay up to date on the newest research in tree health and standards. Consult with an arborist to avoid making bad pruning choices. An arborist can help you determine the best course of action to keep your trees healthy and beautiful. 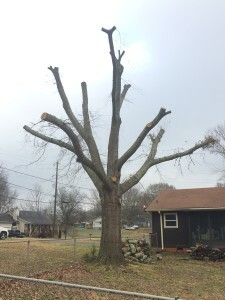 Consider other pruning practices, an arborist can make recommendations that can possibly reduce a trees size and also preserve the trees natural shape. Call Heath Tree Service to speak with an ISA Certified Arborist about your tree care needs! We look forward to helping you!